The SW shore of Arran is superficially less dramatic than its neighbours. A boulder beach is backed by a raised beach which in turn is backed by a line of now dry wave cut cliffs. However, a series of basalt dykes run out to sea for distances of up to a kilometre from the shore. They are particularly prominent in the region of the Cleits Shore, where they extend for a considerable distance, just under the surface of the water. 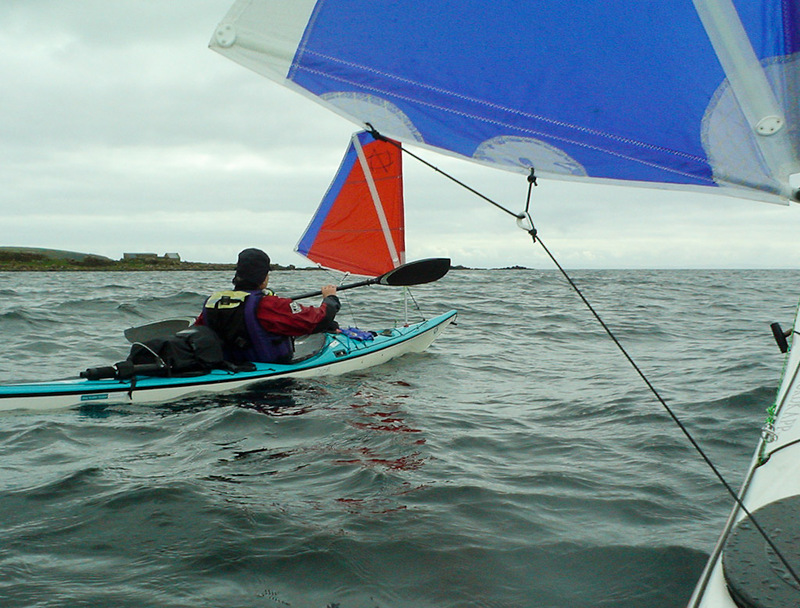 You need to give them a wide berth, especially when kayak sailing at speed, with laden kayaks! 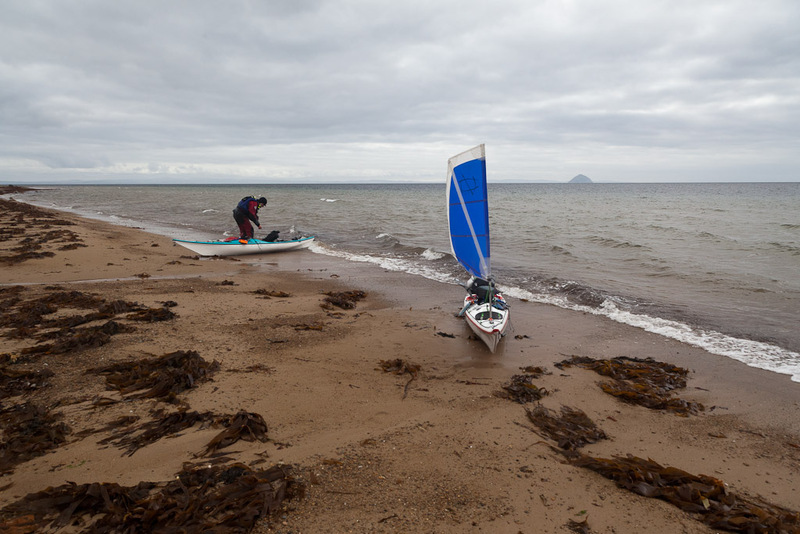 I mentioned to David that this shore was a nudist beach, the only legal one in Scotland. 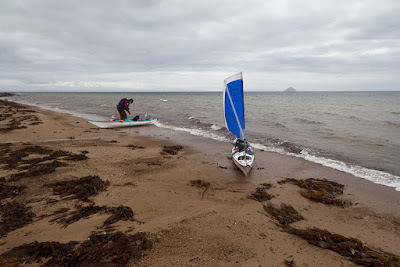 Despite David being anxious to get to Kildonan in time for the 3:30 in the Scottish Grand National horse race at Ayr, he now seemed keen to take a break on the shore. 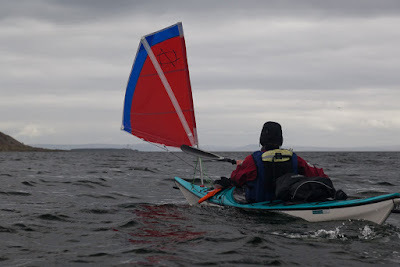 Despite it being legal, there was not a single nudist in sight and neither of us felt like disrobing from the warmth of our dry suits, just to exercise our legal rights. 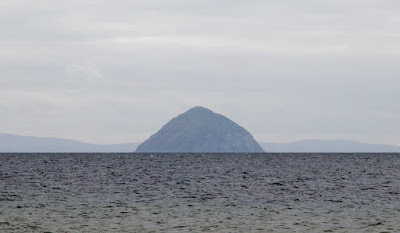 From the sands at the south end of Arran, we had a fine view of Ailsa Craig, some 22km away to the SSE. 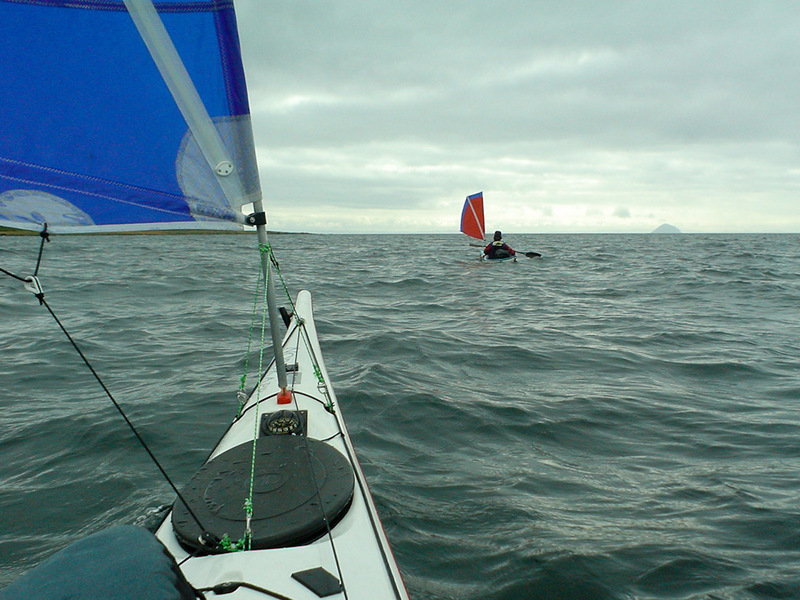 We had done this crossing from Ailsa to Arran exactly two years previously. 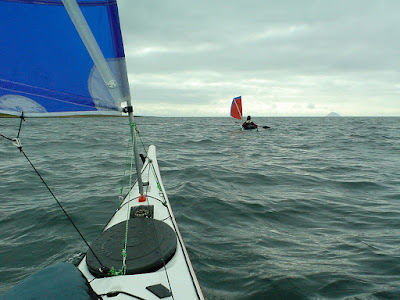 Twenty eight km to the SW we saw Sanda, with Rathlin Island in the distance to the SSW. There was also a decent wind, which held the promise of a quick sail to Kildonan.